and if you paint a wall red it needs a grey undercoat. 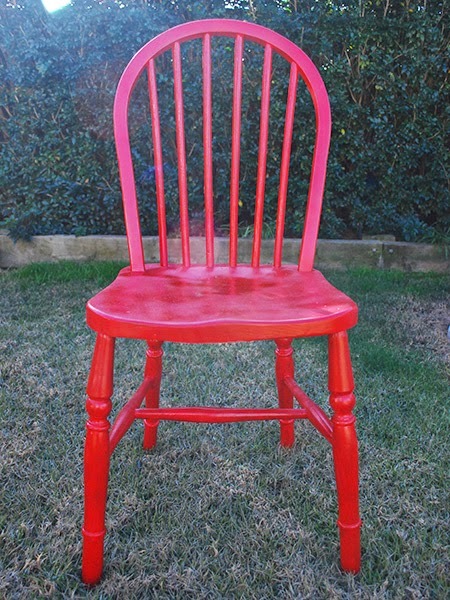 We just repainted 2 our timber chairs white again with left over paint.....much more.painful than a can lol. Was going red but we did the wall instead lol. 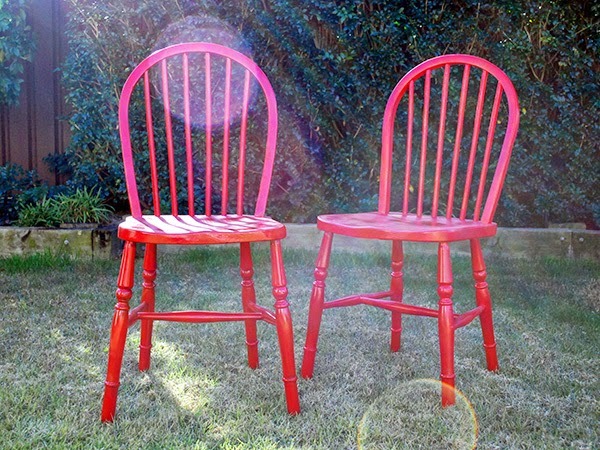 I have yet to paint the girls timbet chairs I scored free one turquoise & other magenta. Again by hand....gah!! Thanks for that Daph! If I ever want to paint red again, I'll make sure i use grey and not white!! 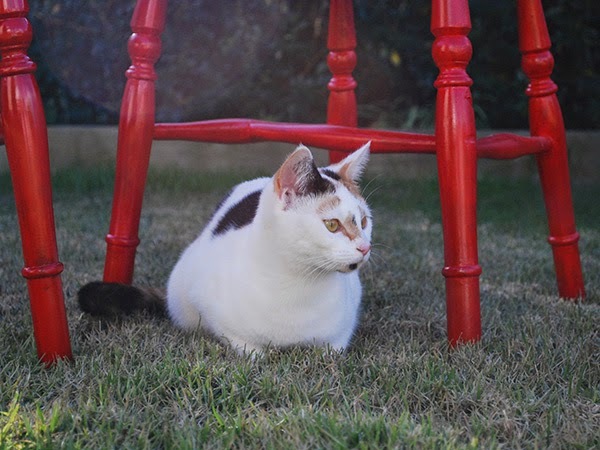 Oh I would love a turquoise and magenta chair! I have more here I could paint, I guess! WOW! These look amazing. What a fantastic colour. I wanted a real popping red and I think I got just that! I do love the colour!